The Ben Mynatt Children's Foundation Children's Classic is now in its 18th year. To date, we have distributed over $888,000 in cumulative giving to children's groups in our region. 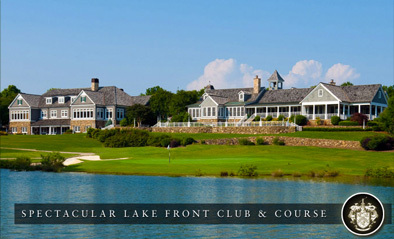 Held at the beautiful Trump National Golf Club Charlotte, this event features numerous fantastic prizes, breakfast, lunch, and an awards ceremony at the 19th hole reception. There are several levels of sponsorship opportunities available. The Trump National Golf Club Charlotte, designed by Greg Norman,has been described as one of the most spectacular and exciting courses in all of North Carolina. More than two-thirds of the holes play directly along or over the water on this beautiful, diverse course, which presents challenges to golfers of all skill levels. With their exquisite practice facility and highly trained professionals, Trump National Golf Club Charlotte is fully equipped to provide you with an elite golf experience. This beautiful property is located 30 minutes from Charlotte in the picturesque countryside of Mooresville. The 7,037 yard Greg Norman masterpiece has incredible views of Lake Norman and is one of the best in the state. The state of the art Clubhouse and other various amenities make Trump National Golf Club Charlotte the most desirable club in North Carolina. Sign up today to enjoy a great golf outing while supporting a very worthy cause.